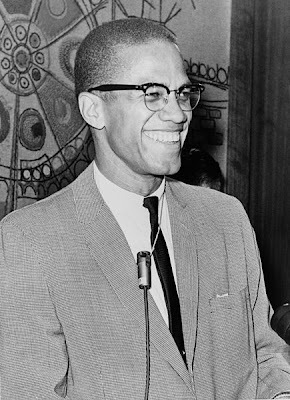 Home Tags Posts tagged with "Malcolm X"
While scrolling through Minister Farrakhan’s social media posts, there seems to forever be at least one person saying “You killed Malcolm”or some negative myth about the Nation of Islam in relation to our brother. Before I get the comment “Well why do you care what someone online thinks?”, let me say that this is more than just one troll on Twitter. The harmful rhetoric of The Nation of Islam killing Malcolm X, or The Honorable Elijah Muhammad being an immoral man, has led many away from the Nation, and has been used for propaganda to write The Honorable Elijah Muhammad’s name, and the nation, badly in history. It has been a falsehood that many have used to justify any harm they wish to do to the Nation of Islam. It has shaped the thinking of a lot of people and has created misconceptions for years. Lies are powerful. I hope to help debunk some of the myths I see, and have been told face to face. “Teenage secretaries” was a term that was used by Malcolm X to deceptively describe his teacher’s wives he found out about. “Wives” as in legal and consensual marriage. He didn’t “expose” anyone. He knew exactly what polygamy was and why it was permitted in the Holy Quran for Allah’s Messenger (under certain circumstances of course). Malcolm X was very intelligent and well versed in the scriptures. It also makes no sense that he would give up the Nation of Islam because he found out about a man having more than one wife, to go follow a more traditional way of Islam under strictly Prophet Muhammad (Peace Be Upon Him) who had nine wives. And some say his wife Aishah was between 10-19 when they got married. Clearly, it’s something else that caused the split. The Honorable Elijah Muhammad’s wives talked about their husband 28 years after the assassination of Malcolm X during a lecture that Minister Farrakhan gave. They denied all accusation of pedophilia, sexual harassment, or any negative propaganda against them and their husband. In an interview with Ilyasah Shabazz, Malcolm X’s daughter, she says that the killer was not in the Nation of Islam. She points to Abdul Razzaq, who was our brother’s secretary as a source. She says that Abdul Razzaq always said who the real trigger men were, and they were not Nation of Islam members. Even if they were, the government has never been a friend of black leaders, and they often send agents in organizations to disrupt them. In the interview, there is mention that her father was being watched during his trip to Mecca, who he suspected was the CIA, not the Nation. He was poisoned in Egypt and said that he did not think that the Nation were the ones doing this. There is a document of J. Edgar Hoover, former director of the FBI, telling the agency’s New York office to “Do something about Malcolm X”. There are different events that took place leading up to the assassination, that were not of the Muslims. The story behind the split between Malcolm X and The Nation of Islam, and the assassination has been twisted and fabricated to frame an entire nation of people, and justify the hatred towards them. NO, The Nation of Islam didn’t kill Malcolm X. Black Muslims in America have to deal with two struggles: anti-Islam rhetoric and anti-blackness. Inside and outside of the mosque, or masjid, there is racism that shouldn’t be ignored. If you tell a Muslim who isn’t black that there is racism among the ummah, sometimes the response will be “That’s not true! There is no color in Islam!” Colorblindness is never a good thing. There are dangers in a colorblind society. If you claim that you can’t “see color”, you are choosing to ignore racial injustices that people face. You ignore people’s identities and conform them to say that who they are is wrong. Just because Islam is diverse, doesn’t mean you should deny my blackness, or the issues we face while being black. Black Americans in particular have had to deal with white supremacy for centuries. It has not yet disappeared. Prophet Muhammad (Peace Be Upon him) had to teach the Arab people of his day to not discriminate against the black people who followed him. Sadly, that anti-blackness still lingers in many Muslim communities. You would see sometimes during Jummah, all of the black people all together in a corner, segregated from the rest. You would see disrespectful glares of non-black Muslims towards us, and even hear the repetition of racist speech in Arabic. This is not Islam. But this is an unspoken reality. Actually, its spoken of, but always talked over by the loud recitation of Quranic verses and hadiths discussing diversity. If you can’t identify or listen to Black Muslims, or dismantle any racist behaviors, then your quotes on diversity mean nothing. One of the reasons why “traditional” or Orthodox Muslims don’t like the Nation of Islam is because of the teachings to empower mainly black people to bring us back from a “dead” state. Black power was manifested in our own grocery stores, newspapers, businesses, schools, etc from the Nation of Islam, who had a very big hand in establishing Islam in America. This has gotten criticism for many years as “un-Islamic.” But understand what black people have gone through and still go through daily in an unholy society. Understand the need for self-love in a community with likened conditions as the Arabs in jahiliyyah, during Prophet Muhammad’s time. No one else would willingly teach black people Islam at first. There are those Orthodox Muslims who claim our great brother Malcolm X, or Malik El Shabazz, yet didn’t care for him until AFTER he got taught by The Honorable Elijah Muhammad. The Nation of Islam cleaned him up. We did that. He learned “As Salaam Alaikum” and all of his prayers from the Nation of Islam, not Orthodox Muslims. No one else taught us until after the fact, and even still, there was discrimination. With all due respect, there are some so called “Muslims” who sell the forbidden swine in black communities. There are some so called “Muslims” who mistreat black women, and disrespect black people in general. It happens more often than we think, not even limited to American borders, but the issue is always pushed to the back of our minds. There are a lot of black Muslims who have to find an all-black mosque to pray in, because they haven’t been treated as they should in other mosques. It’s a horrible thing when people who claim to follow Prophet Muhammad hate the same people who look just like Bilal. There is definitely racism in the mosque. You can’t sweep it under the rug and pretend blackness doesn’t exist to make the issue go away. Islam and religion in general needs to be cleansed so that it can be as pure as it’s supposed to be. On this day, 85 years ago, Malcolm X was born. To mark this day, Jasiri X releases “Universal Ruler” off of the Malcolm X tribute album NECESSARY! NECESSARY! is a 17 track compilation of Hip Hop, spoken word, Jazz, and R&B that pays tribute to one of the most revered freedom fighters in past 50 years. Artists such as jessica Care moore, Kiko, Jasiri X, Professor Griff of Public Enemy, Umar bin Hassan of The Last Poets, Arabian Knightz, The ReMinders, Lica Cecato and Zafar Razzacki contributed to the album. Jasiri X is also screening the historic Season 3 of his critically acclaimed Hip-Hop news series, “This Week With Jasiri X” at First Voice: Pittsburgh’s International Black Arts Festival, Saturday, May 22nd at 3pm at the August Wilson Center. The highlight will be the World Premiere of the video for “Just a Minstrel” a scathing critique of the current climate of the rap industry featuring Idasa Tariq and Living Proofe and directed by Paradise Gray. 28 years later: Elijah Muhammad and Malcom X. What really happened? Today many around the world is honoring the legacy of Brother Malcolm X, also known as El-Hajj Malik El-Shabazz. He was assassinated on February 21, 1965. Even the government that hated and plotted on his life made commemorative stamps years ago and corporate America has even commercialized his legacy. I first read a book about Malcolm X as a freshman in high school titled Malcolm X on Afro-American History. It is a collection of many of the speeches he had delivered. I learned a lot from that book and it was one of the first times in my life that I had read about the true and rich history of Black people before we were made into slaves. This was something I was not being taught in my history classes. I was blown away and shared the book with many of my classmates! They read it gladly. Then the movie Malcolm X came out in theaters and soon all of my friends started wearing â€˜Xâ€™ shirts, hats, bracelets, handbags, etc. They felt they were “down with the cause”, “revolutionary” and “conscious” because they paid their money to see the movie. Also many hip-hop artists started using his messages in their albums but my classmates were only moved by the beat and not by his words. Not like when Public Enemy or Poor Righteous Teachers used his words to move the masses to actionâ€¦.my friends used Malcolm X as the latest fad. I then offered to them that Malcolm X is bigger than a t-shirt or any rap song that used his sound bites and challenged them to BE like him. They didnâ€™t want to hear me. 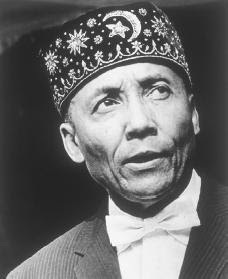 Under the leadership of Honorable Elijah Muhammad, Malcolm X successfully cleaned up his life in prison, lived an upright lifestyle, put down drugs, put down guns, read every book in the prison library, ate one meal a day, became a prolific speaker, did not smoke, fasted, prayed, defeated scholars in all debates, was a guest speaker at all Ivy league schools, challenge the powers of America, became an international figure, spoke out against injustice in the community, crisscrossed America weekly in his car to teach people about themselves and cleaned up people in the streetsâ€¦…and he only went to the 8th grade! Malcolm became this type of man despite losing his father at the age of 13, having his mother committed to a mental hospital, drug dealing, gambling, racketeering, robbery, and overseeing prostitutes. He was an example of how any person can transform their lives and become a giant when given a chance. But how many organizations would have truly took in this ex-con and cleaned him up? How many today? So if you think that youâ€™re commemorating his life by making a rap song with excerpts of his speeches, writing a poem, wearing a medallion, rocking a t-shirt, busting shots in the air or even coordinating an intellectual panel discussion full of people who donâ€™t do anything for the masses, you have his life confused. Â· Go into the streets to teach our young people to stop killing one another. Â· Go into the prisons with our knowledge to help reform someone and help them when they get out to stay out the system. Another “Malcolm” is waiting. Â· Help a sister stop selling her body in the streets. Show her an alternative instead of turning your nose up at her. Â· Launch a business to employ people and teach others how to do for self. Â· Speak out against injustice through works and not just show up for the cameras. Â· Use our influence to address a cause bigger than our rims or houses. Â· Back the strong freedom fighters in our midst today like the Honorable Minister Louis Farrakhan. Â· Make self-improvement your daily routine and unity a necessity. Help rid our community of drugs and violence. Â· And by all means stop quoting â€œby any means necessaryâ€ if you donâ€™t really mean it. By any means necessary didn’t mean picking up a gun. Arm your mind. If Malcolm X was made so powerful that he is still loved by so many, then how much more powerful is the teacher that polished him before the world? Today many around the world are honoring the birth anniversary of Brother Malcolm X, also known as El-Hajj Malik El-Shabazz. Even the government that hated and plotted on his life made commemorative stamps years ago and corporate America has even commercialized his legacy. 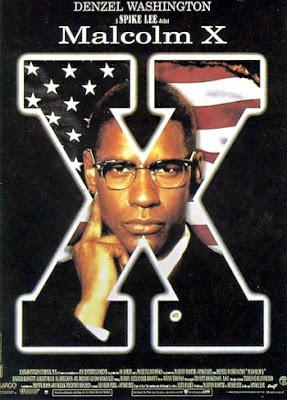 Then the movie Malcolm X came out in theatres and soon all of my friends started wearing â€˜Xâ€™ shirts, hats, bracelets, handbags, etc. They felt they were “down with the cause”, “revolutionary” and “conscious” because they paid their money to see the movie. The book provides some insight into how some of Muhammad’s students were impacted by his teachings. Malcolm X a well known spokesman for Justice and Human rights was brought to birth by the teachings of Elijah Muhammad. He became, not only a “Prince for Justice”, but also a well-known speaker and debater. 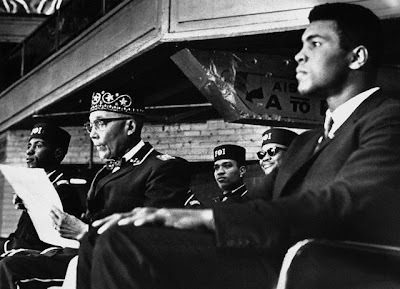 Boxer, Muhammad Ali, was also a student of Elijah Muhammad. It was Elijah Muhammad who gave the former Cassius Clay the name Muhammad Ali, a name that means one worthy of praise and who is the “most high” or “great.” Today Muhammad Ali’s is praised by the world and considered the greatest boxer that has ever lived.